On a recent episode of The Tonight Show Starring Jimmy Fallon, Kevin Hart asked the host to refer to him as “Lil’ Nugget.” At first I thought this was an odd nickname, but the more I thought about it, the more I realized it was accurate. Hart is definitely a Lil’ Nugget of comedy genius. For the past few years, Hart has be ubiquitous, starring in movies and television shows, and hosting award shows. On April 9, 2015, comedy fans across North America will get to experience the superstar entertainer live during his highly anticipated What Now? Tour. Promoted by Live Nation as the biggest comedy show in history, the What Now? Tour will kick off in San Antonio, TX and take the award-winning comedian to 45 cities throughout the U.S. and Canada. Hart can currently be seen in The Wedding Ringer and in March 2015, he will star opposite Will Farrell in Warner Bros. Pictures’ Get Hard. In 2016, Hart will star in Ride Along 2, the anticipated sequel to last year’s $100 million blockbuster hit. The consummate worker, Hart is a force in television too where he is currently Executive Producing the hit show, Real Husbands of Hollywood, which premiered its third season in September on BET. 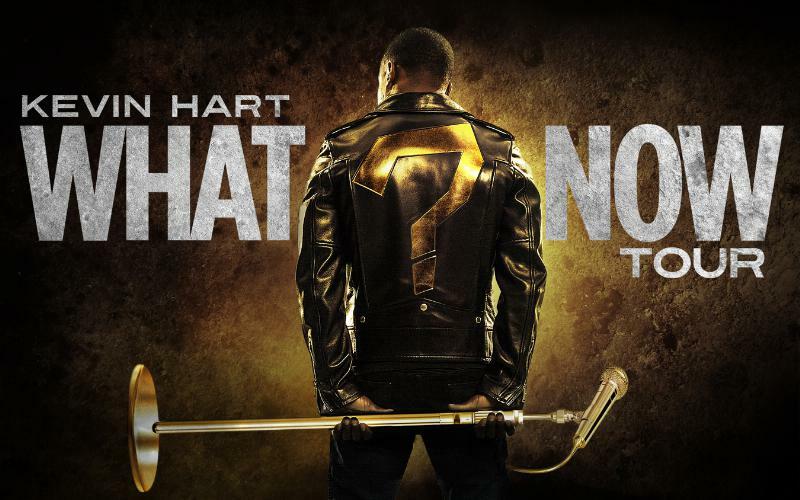 Tickets for Kevin Hart’s What Now? Tour go on sale Friday, Feb. 20 at www.whatnowtour.com.